St. Andrew's Episcopal Church wishes to be a welcoming, safe place to worship. St. Andrews is a multi use facility, and has in place policies for the use of our facility. You may click on the links below and review our some of our current policies. 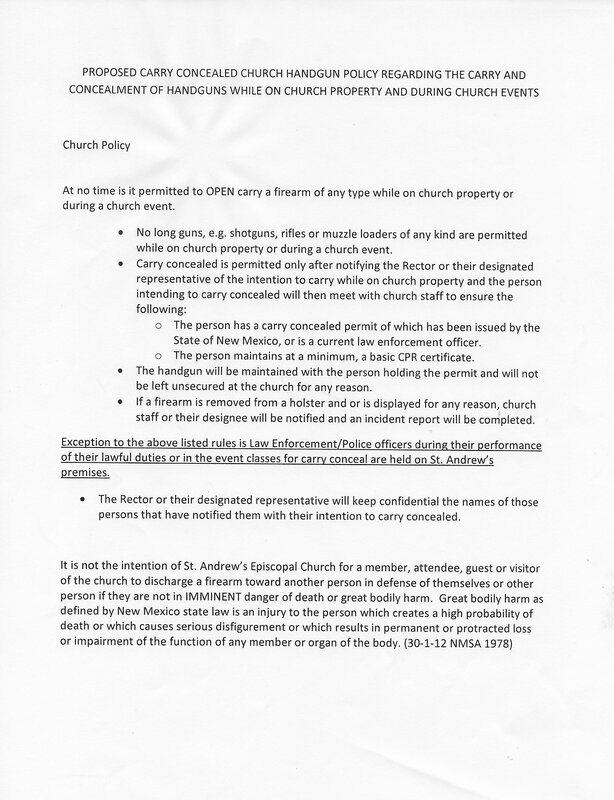 The current climate of gun ownership, and possession leads us to prepare a policy pertaining to those people who maintain and hold a permit for a carry conceal issued by the State of New Mexico or a current Law enforcement officer. The carry conceal policy maybe found below.